Some of the benefits realized through installing IoT-equipped dispensers are obvious, such as better use and deployment of personnel. Also helping to optimize resources is the ability to pinpoint what dispensers need tending to, which represents a significant time-saving advantage for large facilities, since this affords the ability to check on only those needing attention, rather than having to check on every single dispenser in a building whether they needed checking or not, says Robitzkat. Checking the analytics provided by IoT-equipped dispensers also help rein in consumable costs and improve inventory management, says Bertram. This is especially the case when janitors use the refill data. Having greater insight and visibility to product usage also enables BSCs to “take advantage of bulk-ordering discounts, while helping to avoid overstocking and overfilling storage space,” says Baynum. Right-sizing of inventory isn’t the only operational aspect this technology can improve. As Bertram points out, service schedules can also be right-sized, leading to higher customer satisfaction, fewer complaints and better client retention. Then there are those benefits that at first blush may not seem so obvious. 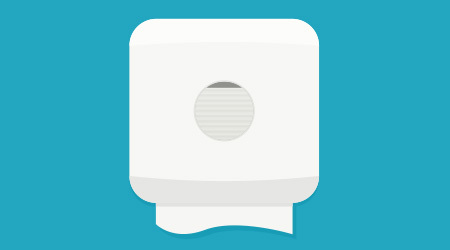 For example, says Robitzkat, the use of IoT-equipped soap/sanitizer dispensers can expose useful information about hand hygiene — especially important to those environments where food is being handled. In this kind of setting, a requirement might be in place mandating that a certain number of team members wash their hands a specified number of times per shift. The data will indicate if this is actually taking place and could reveal where more training is needed to bring food handlers into compliance. IoT dispensers and the traffic data they generate can also assist in reducing pilfering, says Baynum, recalling a specific case where employee theft was uncovered. Finally, IoT dispensers not only help create happier facility clients and tenants, this technology can also lead to higher satisfaction among cleaning crews, since as Baynum says, they feel more “empowered” knowing that every trip they make is “purpose-driven” and that they’re not spending time monitoring dispensers that don’t need servicing, in many cases rushing to do so. Pamela Mills-Senn is a freelance writer based in Long Beach, California. She is a frequent contributor to Contracting Profits.